The Block NZ has entered its final stages of the show with the final renovation area and as expected the team’s purse strings are extremely tight. 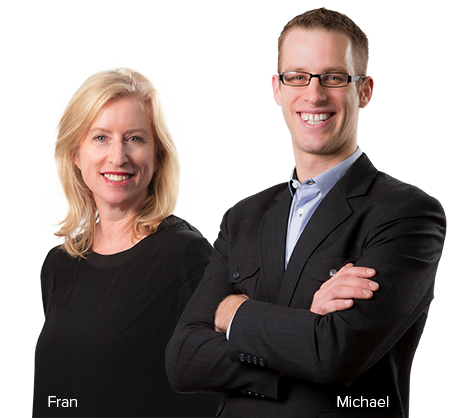 OceanWeave have helped to relieve the pressure with the opportunity to win $8,000 of luxury rattan outdoor furniture. The Block NZ has been airing on TV3 for five weeks as it follows four teams who have been competing to renovate a 1980’s townhouse into a modern home. 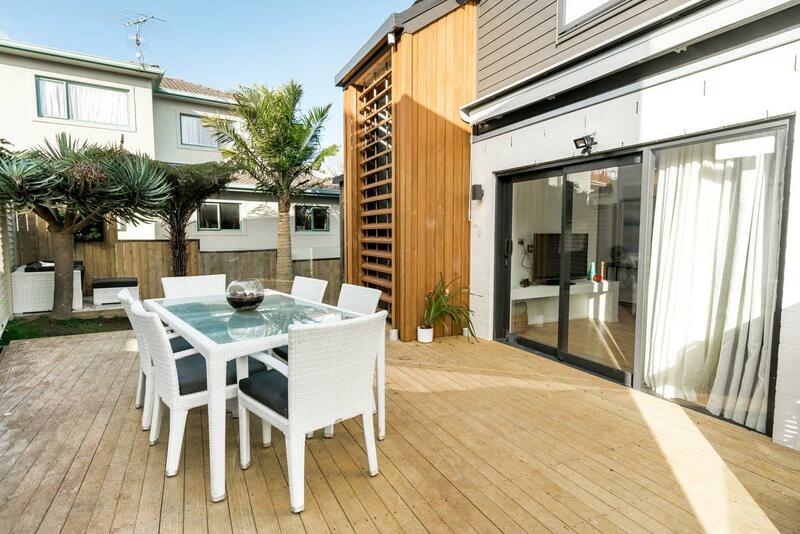 Located in Meadowbank of East Auckland, the four townhouses are direct neighbours and the teams are certainly in direct fierce competition with each other to make the most profit. The final brief for the contestants is to complete all outdoor areas, exterior of their house and any unfinished indoor work. Contestants have been specifically tasked with creating a lush, native outdoor area. 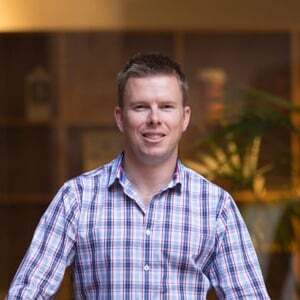 The Block host Mark Richardson commented that kiwis love to entertain and that teams should make sure that they had some some good outdoor seating. To support the outdoor week renovations, the teams were presented with a challenge that would see one winning team receive $8,000 worth of OceanWeave premium outdoor furniture. With budgets depleted and some teams in the red, this prize is a welcomed opportunity which would ease the financial pressure. The Block challenge host Shelley Ferguson orchestrated the teams with a designer paving challenge where they had to create a paving design that would add impact to any outdoor space. Teams were able to select from a variety of resources including pavers, stones and grass, and were given one hour to create a winning paver design. The winners of designer paving challenge were the blue team made up of Emma and Courtney from Dunedin. 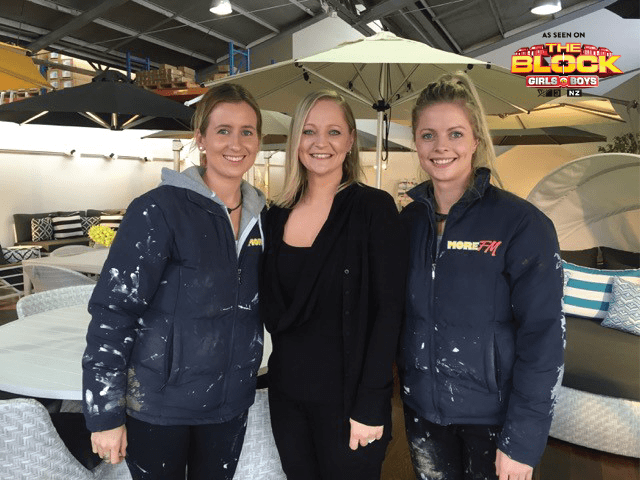 Emma and Courtney visited the OceanWeave showroom where they were able to help discuss their requirements and what furniture would suit their design theme. 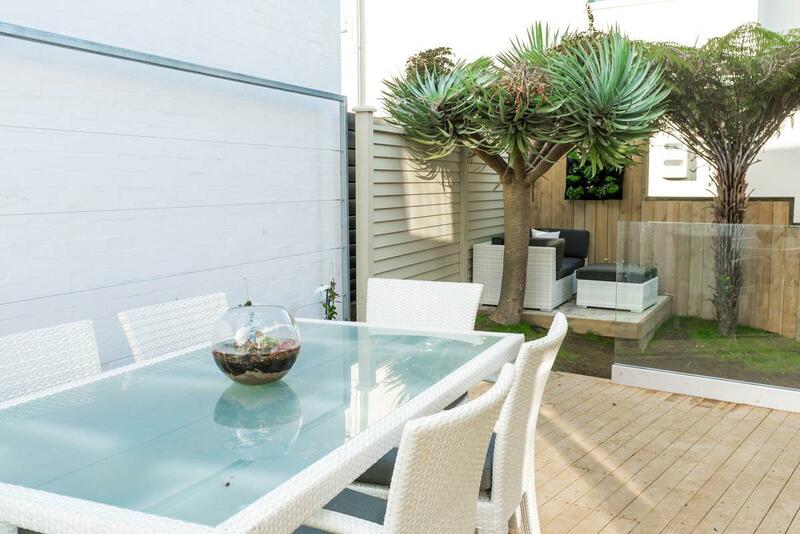 Renovating a townhouse property meant the girls had limited to space to work with and needed to be careful not to overfill their outdoor area. 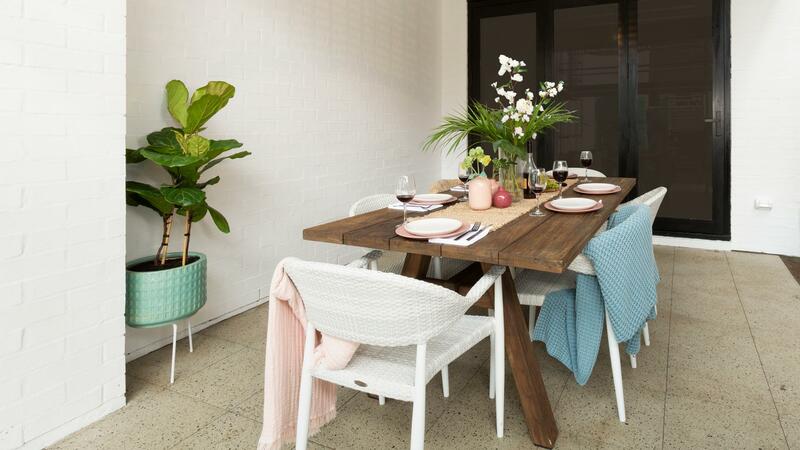 With their prize money Emma and Courtney were able to select an outdoor dining furniture set and an outdoor lounge. When asked by the NZ Herald about their inspiration for their renovation on The Block, Emma and Courtney shared “We really like the clean, simple lines of Scandinavian style. We also wanted to make sure that it would appeal to all sorts of buyers, from professional couples to families.” Both the lounge furniture and dining set from OceanWeave have a simple contemporary style that will be appreciated by many different types of buyers. The Venice outdoor dining set selected by the girls is a sleek modern design that will complement a wide variety of décor styles. Emma and Courtney chose the 6 seater table in whitewash, with coal coloured cushions. 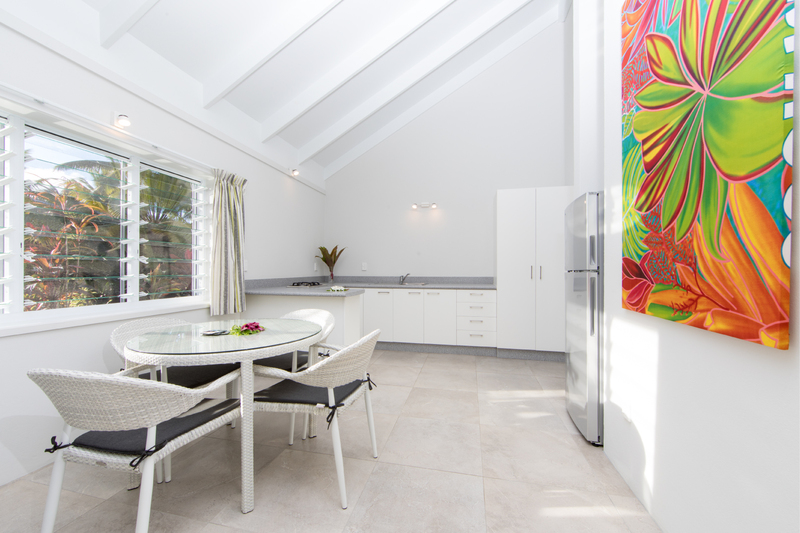 The white and grey combination is a clean neutral style which will appeal to many buyers. Comfort, function and durability are all important components of the Venice set, with the sturdy armrests giving more comfort to the individual dining chairs. 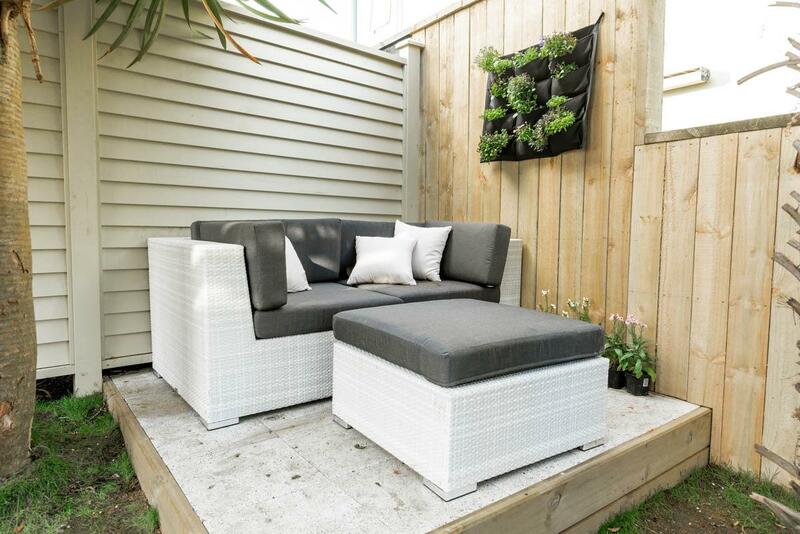 Emma and Courtney chose the Paris modular outdoor furniture set which has a classic design and offers great flexibility. The modular pieces allow customers to select their own configuration to adjust the set to fit into their given outdoor space. In this instance the girls selected two corner pieces to create a couch, and a footstool to add comfort and luxury. The Paris lounge set is one of OceanWeave’s most popular sets with its ability to create both very large and small lounge suites and anything in between. The quality craftsmanship of OceanWeave’s furniture means they are ready for use immediately, without any assembly or stress. 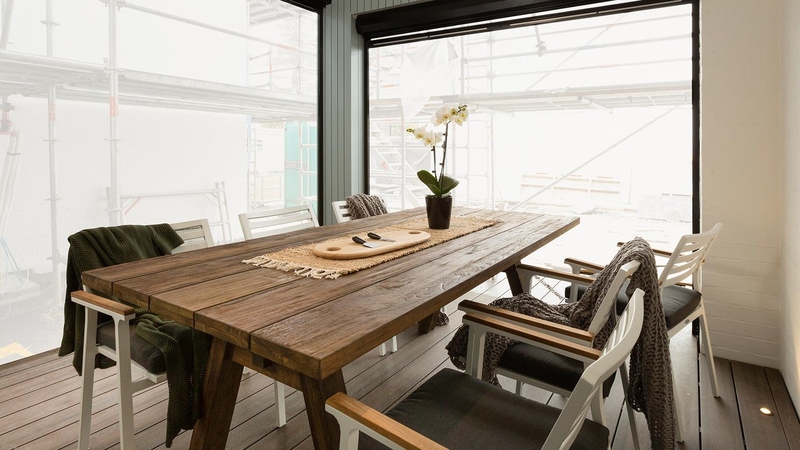 The Block contestants Emma and Courtney have designed a stylish modern home and OceanWeave’s furniture complements their style well, offering both beauty and excellence. 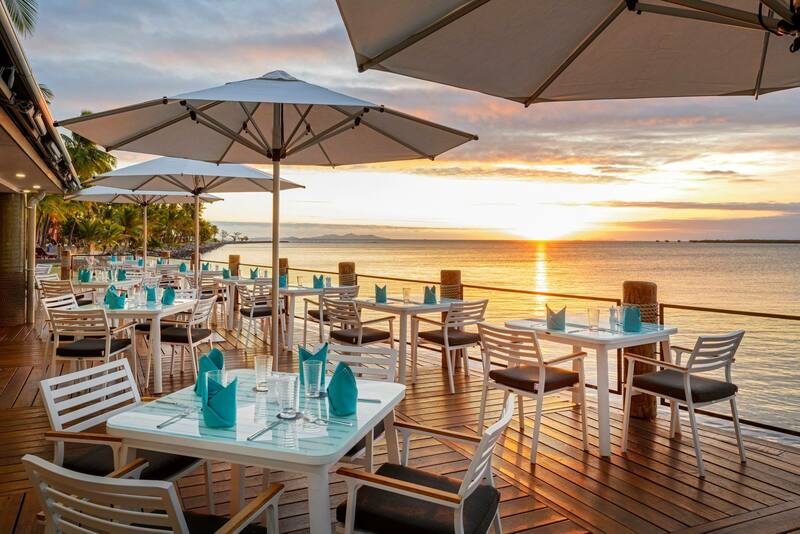 OceanWeave’s outdoor furniture has been made with the highest quality of materials, allowing the furniture to remain outside all year long irrespective of the weather. 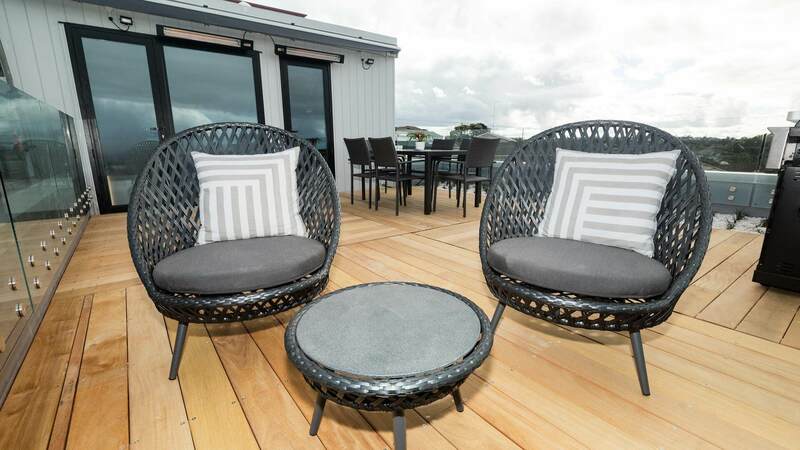 New Zealand has a particularly harsh sun environment so it has been crucial that OceanWeave’s furniture be made with superior materials to withstand the strong UV rays. All of OceanWeave’s furniture has been designed to a commercial level, ensuring longevity despite frequent use. The furniture is built upon a heavy duty aluminium frame which will not bend or rust. The synthetic weave has been expertly crafted and tested to withstand usage between temperature of -10c through to 50c, ensuring it will endure both cold and hot temperatures. The superior Sunbrella fabrics used on the cushions are durable and colourfast, supported by a 5 year warranty, which is especially important with the unforgiving New Zealand sun. The inner foam of the cushions are made from a quick dry foam, which is resistant to mould and allows water to drain out of the cushion quickly, allowing faster use of the furniture after it has been raining. 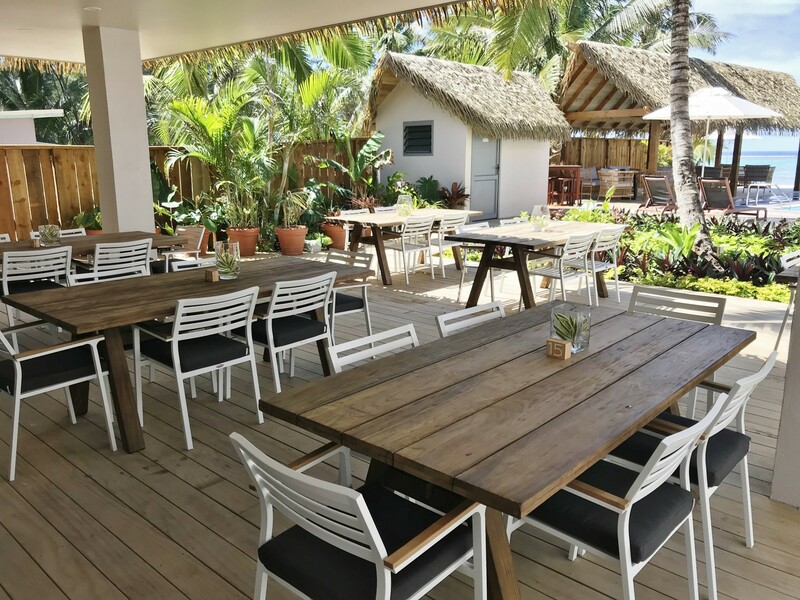 All of these qualities are what give OceanWeave’s furniture the resilience it needs to last in homes, resorts and restaurants around the world. 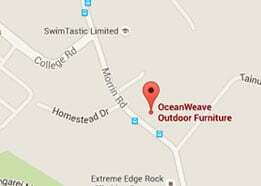 To discuss your own outdoor furniture requirements contact one of the OceanWeave team today.